Themes for parties tumble in all directions, but a baby shower begins with one common denominator, babies. Sit down with a notebook and pen, start writing down words that come to mind when the word “baby” is spoken. The mind conjures up images that provide a multitude of ideas. Babies: lullaby, rocking, sweet, gentle, tiny animals, storybooks and their characters, downy soft, sunny, silly, and whimsical are a few words associated with babies. Add to the list of words specific things you know about mom and dad to be. Perhaps they love the outdoors, gardening, camping, or hiking. It could be a family that finds music and playing instruments to be an important part of their life. A sports family with riotous good humor who believe nothing is better on a hot July night than going to a baseball game. Incorporate what you know about the family with words associated with baby to come up with a very personal theme. A family that listens to Mozart and plays Gershwin on the piano would find a lullaby theme music to their ears. Choose a second word from the list that brings to mind color or touch such as soft or sunny. A Sunny Lullaby Shower would be personal and charming. A Sunny Lullaby Shower brings to mind all shades of yellow, soft creams, and if you know if the baby is a boy or girl you could bring blue or pink into the palette. Start jotting down ideas like having the cake decorated with a cradle in the middle a huge smiling sun and tiny musical notes in all the colors of the palette chosen. Decorate around the theme using suns, babies, and musical notes. If games will be included borrow the premises of the game show “Name That Tune” using lullabies or nursery songs instead of popular tunes. While serving cake and punch play soft lullabies or classical music suited for a baby shower. Music stores carry loads of music for babies or children. Gardeners and outdoorsmen would find a garden fairy shower to be enchanting and whimsical. The colors of nature come to mind with thoughts of garden fairies: greens, yellows, lavenders, and the iridescent flash of wings. A shower held outdoors on a deck, patio, or even in or near a garden would be a perfect setting for this theme. All things small and botanical could be used. Pressed flowers found at hobby stores like Michael’s could be used to decorate invitations. Fresh flower arrangements with tiny fairies perched among the flowers would create a darling centerpiece. Fairy cakes and nectar (punch) could be part of the refreshments served. There are books galore relating the tales and legends of the wee folk. With a little research A Fairy Baby Shower would make a charming theme. Then one day someone noticed that the liner is worn out and wants replacing, or no one is fascinating in using it anymore or the chemical substances are operating over $100. Most folks would say that summer season is the greatest time to dig it, but you need to really dig a pool house in the winter when the ground is hard and not soggy as it can be in the require the ground to be tough because you will use heavy gear to dig it, it will not be dug by hand. Then the pool went up. Two of my sons-in-law helped, and it didn’t take extended to have the assembly comprehensive. Fever or higher temperature is also recognized as hyperthermia and it is a common symptom of so several underlying illnesses. This tiny lap pool is sufficient for swimming enthusiasts who wish to practice his swimming activities at property. Here’s everything you need to know about style, kind, upkeep, security and price. Particular extension de maison styles and dimensions can create troubles, such as poison arrows, which are harsh elements of energy directed at the house. A good discussion on the diverse pool remedies is offered out on Bob Vila’s internet site. Conveniently, the average body temperature which is 98.6ºF or 37ºC for adults, is regarded as the regular human body temperature. Swimming pools are usually built in the backyard of the home as a landscaping element and they are modest also since it costs quite a bit of funds to create and maintain the pool. In higher-finish neighborhoods exactly where most other houses have pools, a swimming pool is probably to be regarded a valuable asset. If you have any questions regarding your swimming pool removal or draining feel free to call me. In addition, parents with young kids may worry that the agrandissement maison bois will turn into a hazard. Seventh: I am a pool agnostic – that is to say, if I build an additional pool, I would not care if it was vinyl liner, concrete, or fiberglass. In locations where people fill-in pools to sell their property, you won’t find a lot of pool upkeep businesses, and you will have to do it yourself. If you reduce corners here it might lead to costly repairs or a lot more maintenance down the line. Nevertheless, the above are the most typical shapes – the ones utilised not only for prefabricated pools like fiberglass shells and pool kits, but also for the vast majority of custom designs. What’s better for a 10 year old boy than being able to turn into a superhero…being able to turn into several superheroes, of course! It all starts while on a camping trip with his grandfather Max and his cousin Gwen. 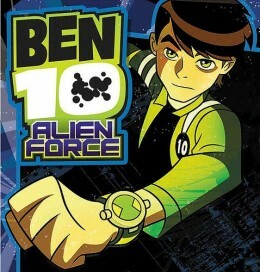 Ben discovers a strange device, the Omnitrix, which locks itself on his wrist. With the Omnitrix watch, Ben has the ability to morph into bizarre aliens like Heatblast, Upgrade, Grey Matter, Stinkfly, Ghostfreak, Razorjaws, Wildmutt, Fourarms, XLR8 and Diamondhead. Each alien has its own set of special abilities that Ben can use, while at the same time still maintaining his 10-year-old personality. With these powers, he can play the part of a superhero, righting wrongs, saving the world and getting into some good old-fashioned kid-style trouble. The path of the super hero however, proves to be trickier than he first imagined, especially with the evil alien warlord Vilgax pursuing him relentlessly to retrieve the Omnitrix and gain these great powers Ben has found. When he’s not tangling with Vilgax’s cronies or other earthbound villains, Ben is travelling the country in his Grandpa Max’s van; a good-humoured, open-minded and unsuspecting mentor who wants to put a little more excitement into his grandson’s life by taking him on a cross-country summer vacation. Ben and Grandpa are joined on their road trip by Ben’s cousin Gwen, who is smart, level-headed and not exactly thrilled to be along for the ride. Still, as the voice of reason, she’s invaluable in times of chaos, which is pretty much all the time. The store is run by Digital Stores Ltd on behalf of Cartoon Network. Visitors to the store are generally mums (18-40) looking for presents for their kids who are upto 7 years old. Throwing a themed birthday party can be one of the most enjoyable experiences you can have as a parent and experience as a child. There are many different ideas you can have and need to follow to have a great party that everyone can enjoy. On this page you will learn more about what it takes to throw the perfect Ben 10 themed birthday party. We will cover some essential party planning tips like invitations and basic Ben 10 party supplies. We will also cover some creative Ben 10 games that are inexpensive if not free. With these different ideas you will be able to have the perfect Ben 10 birthday party that everyone can enjoy. Other people absolutely insist that the way you say it depends on your location in the world. So, I guess in this matter, it doesn’t matter how you say it, as long as you’re in the right country when you’re saying it! The point of Rummikub isn’t the pronunciation, the point is that it’s a game and it’s a game you can play online when you need a break from every day life, which is always a nice thing huh?!? It sort of reminds me of Mahjong, Sudoku, and Rummy all mixed together. Nonetheless, it’s a fun game to play and I think everyone should give it a try! If you’re like me, and you enjoy playing games online here are a few sites which you can download it and play it whenever you want to! I haven’t had much success when it comes to finding sites where you can actually play this game, but I’ll still list the ones you can go to for downloads as well as sites for other info! With the advent of the technology, everyone needs gaming headset for paying the playing. The gaming headset is the important one for the players to get the real gaming experience with the help of the good surround sound. There are many gaming headsets available in the market today and the people can easily buy it in the nearby store. The people can see the review of the best gaming headset to find the best one that is suitable for your gaming experience. With the help of the growing technology, the people can make lots of things in their life. The people can make some simple search to find the best one that suits your needs. The people can find the best quality gaming headset for the gaming experience. It is important for the people to get the clear and well balanced sound effect and the bass. Today, it comes with different products with different sound feature and each brings different sound experience. Each of the gaming headsets comes with the Dolby technology and it is the good one for better gaming experience. The comfort is the good one for making the good gaming experience. The people get comfort, they have to focus for the headset that can be adjusted and fully covered with the padded ear cups. These factors are the important one for the players and likely to use it on long gaming time. The hair cups in the headset are fully covered with ears that are helpful for the people to block the unwanted noise. With the help of the ear cups, the people can get full detailed sound from the game. With the help of the review, the people pay more attention for buying the right one for the better gaming experience and lots of features associated with it. The headset comes with the build in microphone and it is adjustable for playing the game. The players must use the microphone to do conversation with the other players. The people can get the best gaming headset that comes with the noise-canceling technology to reduce the unwanted noise. The mic can be adjusted in a convenient manner of the player and the people can easily move around. The headset comes with the volume control with the separate built-in procedure. Get the right one that the people have easy to access volume control that allows adjusting the volume. The people can compare different products available in the market to get the best one that is suitable for you and your gaming experience. The people can use the review of the headset to compare and get know more about the advantage and disadvantage of each headset. The sound of the game is deeper and clear with the help of the good gaming headsets and it is the reliable one for the players. The people always make sure to find the good quality sound of the gaming headset. The Party Themes makes the party more entertaining and exciting. These features a great idea on how to design a simple yet elegant party to make the most of it rules as unforgettable one. The theme party is an organized party at a particular theme. It is a party wherein the whole part has a subject or idea. It determines the way the guest’s kinds of outfit, food decorations and if there’s a game provided. Mostly any party does not happen by accident because the fabulous party takes a deal of work to plan and organized. Just about anyone, the steps in organizing and planning parties are very simple and can be easily completed successfully. Meaningful party is fun for all. 1. Determine the guest list, the date and time of your party. The most ahead invitation is to send an email message as preparation memo to vacate their time of future event to happen. You should have a one theme of a party to help you focus the definite details. 2. Think and decide on whether you will be playing games or not. If decided so, have an organized games. Prepare a back up games in case the party is feeling stifled. 3. Send your invitation to your friends and guest with complete information of when, where and what type of party are going to be held. 4. Settle the food and beverage you want to serve in your party. Choose a sit down dinner. If you plan to cook, make sure to have all ingredient of food delivered. If possible hire a caterer. 5. List down all supplies needed for your party such as tables, chairs, silverwares and napkins. Plan the decorations and where you want to set up the furniture including the tables and chairs. Establish a proper scheme decoration to complete all things at a time. 6. Purchase all the items you need for food, supplies and decorations about three days before the party to avoid spoilage of food. Study the recipe you will be serving and clean the place the day before your party. Pay attention to clean the bathroom because it is a particular place where all guest usually comes in and out. 7. Don’t over react to messes. Enjoy and mingle with your friends during the party.  Be in a proper food preparation to ensure not neglecting your guest.  Don’t stuck yourself in the kitchen. Enjoy your party.  You want your entire guest to be comfortable so think about a suggestion from your guest planning menus and perfect party themes. One of the best things about Bunco is that you can easily host a Bunco Theme Party at your home without worrying about the skill level of your guests. A person can learn how to play in about 5 minutes flat. Before play begins, each player contributes $5.00. Each Bunco game consists of 6 rounds and 3 games are usually played. In each Bunco round, all players are rolling for the same number so for example, during round one, all players are rolling 3 dice to see how many ones they can roll. When the host rings a bell, Bunco play begins at all 3 tables. The person sitting across from you is your partner for the current round. Together you are team partners. Player one begins rolling and continues until they no longer roll ones (or whatever round you are player). Somebody keeps score at each table and records the number of dice rolled by each player. A Natural Bunco — When a single player rolls 3 dice that match the round currently being rolled. For example, if the group is currently rolling for ones, a player rolls 3 ones or if the group is currently rolling for fives, a player rolls 3 fives. The winning teams move on to the next table while the losing team stays where they are. All players keep their scorecards with them throughout the night, recording a “Win” or a “Loss” after each round. When 6 rounds are played, game one is finished and game two begins by rolling for ones again. Christmas Party Game — Pin the Beard on Santa can take an old game and make it like new! Birthday parties are made more fun with a variety of parlor games. On the other hand, Christmas parties, while just as festive, seems to have little parlor games to boast. For a change you can set up a Christmas game called “Pin the Beard on Santa” ! The props needed for this fun game is not difficult to find at all. First, you need to get your hand on a cardboard cutout of Santa’s face. It should neither be too large nor too small — just big enough for everyone to see his jolly looks. You can easily find these at your nearest party supplies store or wherever Christmas decorative items are available. Playing “Pin the Beard on Santa” requires everyone to try to affix the beard on Santa’s face — which means the beard is not there right at the start. Once you got a cardboard face of Santa, cut the beard off. But don’t throw away that beard; you might want to tape it back after the game, if you intend to use the cardboard face to decorate your home with. There are many creative ways in which you can create the beard. You can sculpt foam into the shape of a beard, just the right size for Santa’s cardboard face. You can also used crumpled sheets of white paper and pack them together. Or if you want you can create Santa’s beard out of a wad of cotton. Whatever materials you intend to use, glue them on a thick cardboard with a double-sided adhesive tape at the back. You can easily peel the backing of the tape off right before the game. The number of Santa’s cardboard face and beard depends on the number of players competing. If you got 5 players, you need 5 cardboard faces and 5 beards to go with them. Playing “Pin the Beard on Santa” is just the same as playing “Pin the Tail on the Donkey”, same rules but different set of props. Affix Santa’s cardboard faces next to each other on a flat surface and line up the players a few feet in front of them. Hand them their respective beards, blindfold them and spin them around a few times. On your cue, the players will start trying to pin the beard in hand right where they belong — on Santa’s jolly cardboard face. Of course, you can always come up with your own version of the game. If you can get your hands on a full-sized Santa cutout, then your players will definitely have more fun trying to pin different Santa parts on a life-sized Santa. They can attempt to pin his boots, buttons on his clothes, his nose, belt — you are only limited by your imagination. Making use of printout games on a street journey is a brilliant way to occupy your baby/kids. Since as we all know there is nothing worse than a bored baby on a very long journey. When your kids develop into bored they 1st begin to irritate just about every other which in turns aggravates the grownups in the auto generating for a miserable journey. So there is a way to maintain everyone pleased in the auto, participate in some street games. There are a lot of autos that have relatives entertainment created proper in but for individuals of us that can’t afford these kinds of autos there is a cost helpful way to occupy your kids, printout games off the computer system. It is speedy and straightforward and presents you and your relatives a way to interact with just about every other as you go by means of your travels. When you begin to glimpse on line for these games to printout you want to glimpse for internet sites that give these kinds of games for absolutely free. There are dozens of internet sites that will allow you to do so. All you need to have to do is research for them on any of the research engines and you will get a record of the internet sites. Then just find the activity you would like to print out and hit the print button and you should get a printable edition of the activity/s. An additional issue to glimpse for is age appropriateness when you are printing out the games. Most of the internet sites will give a large selection of games to select from and you should be ready to inform if they are appropriate for your baby. You can find tons of games this kind of as hook up-the-dots, tic tac toe, term scrambles, and rhyme games, the license plate activity, and find the animal games. When you print these games a lot of of them also have a record rules that you can also print. If you preplan your journey you can make the printouts to be reusable. What you do is print out the activity of your alternative and then just take the activity to be laminated. It is a somewhat low-priced process and you can maintain the games and reuse them on upcoming journeys. This will also give your kids a lot more choices. For example you can print out various various term scrambles and after your baby completes just one they can erase it and go it around to their siblings so they can do it also.